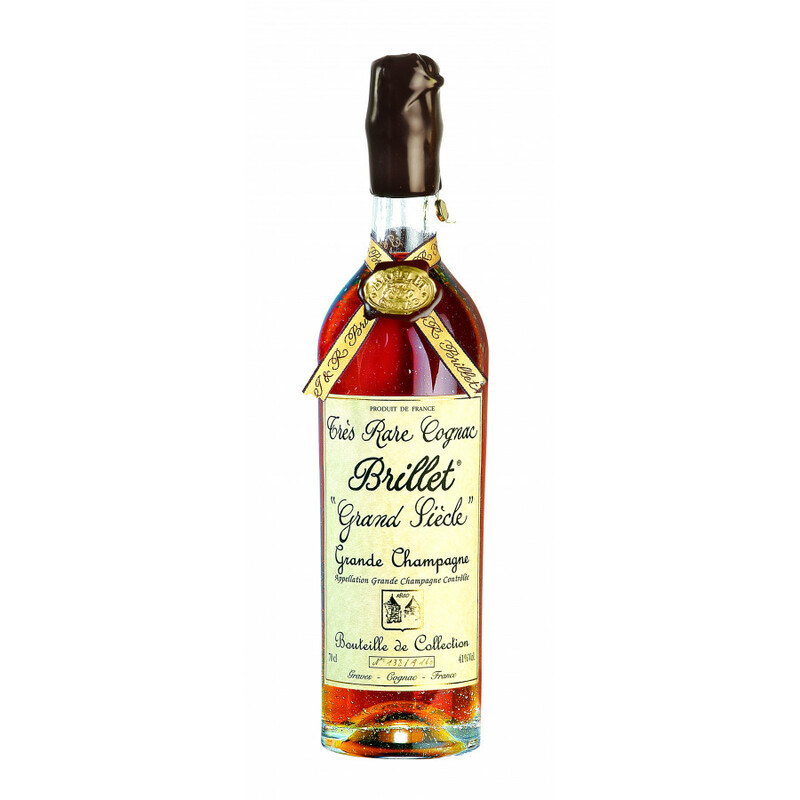 Brillet Très Rare Grand Siècle Single Grande Champagne Cognac is a very unique cognac. 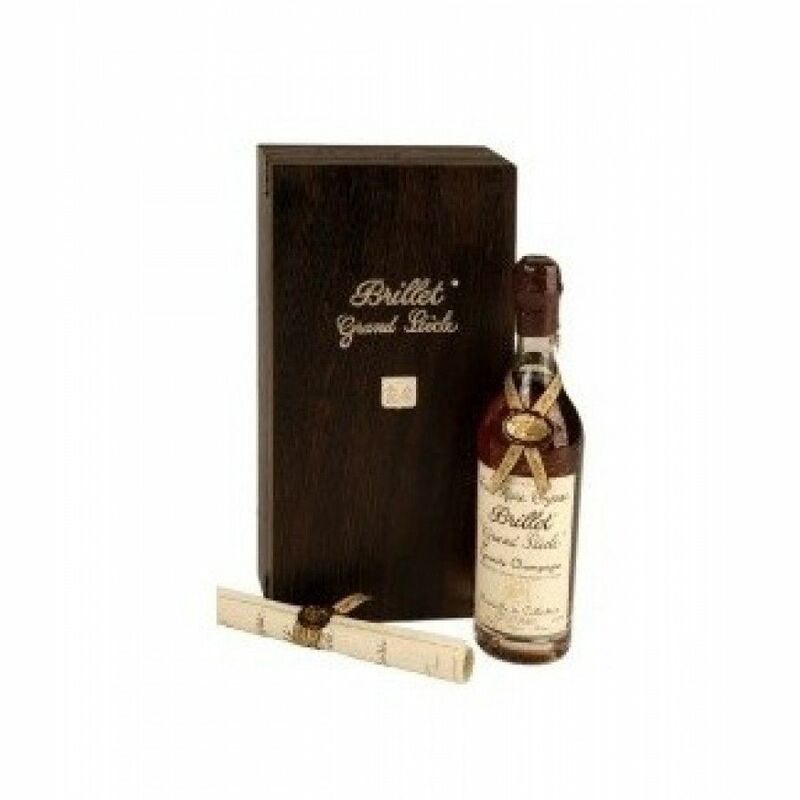 Made from a small batch of the same exceptionally rare cognac, patiently and naturally aged in barrels made from oak from the Limoges area, until its full maturity and then stored in 25 litre demijohns. The temperament as well as the opulence of this great cognac is testiment to the extraordinary quality of the eau de vie distilled at the beginning of the 20th century. (Confirmed by an expert appraisal February 19, 1999). Tasting: High degree of "rancio". In the mouth, it has an incomparable richness and length and unequalled tasting qualities. Delicate, elegant, and rounded with a long lasting flowery aroma. Alas, it will be very difficult to find such cognacs in the future.